Toyon is seeking an IT Systems Administrator to join the IT Team in providing day-to-day operational maintenance, support, and upgrades for workstations, servers, network switches, routers, and firewalls. Performing software installations and upgrades to operating systems and layered software packages. Scheduling installations and upgrades and maintaining them in accordance with established IT policies and procedures. Monitoring and tuning the system to achieve optimum performance levels. Ensuring workstation/server data integrity by evaluating, implementing, and managing appropriate software and hardware solutions. Ensuring data/media recoverability by implementing a schedule of system backups and database archive operations. Implements and promotes standard operating procedures. Conducting hardware and software audits of workstations and servers to ensure compliance with established standards, policies, and configuration guidelines. Configuring, implementing, and maintaining voice, data and network communications systems. Monitoring communications performance using visual, diagnostic equipment, status indicator checking methods, etc., to locate problems. Utilizing electronic and telephone equipment. Responding to local area network (LAN) and wide area network (WAN) user requests for system upgrades and changes. Providing maintenance support for various systems such as electronic mail, message centers, or other computer-automated communications systems. Interfacing with vendors on new technology and system updates. U.S. Citizenship is Required. Ability to qualify for a US Department of Defense security clearance required. WE OFFER AN EXCEPTIONAL EMPLOYEE BENEFITS PACKAGE! Toyon Research Corporation is a nationally recognized small business performing both technology development and defense systems analysis. Since 1980, we have supported more than 50 government and commercial customers on over 1000 contracts. 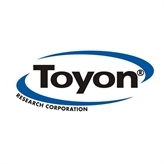 Want to get notified about new jobs at Toyon Research Corporation?